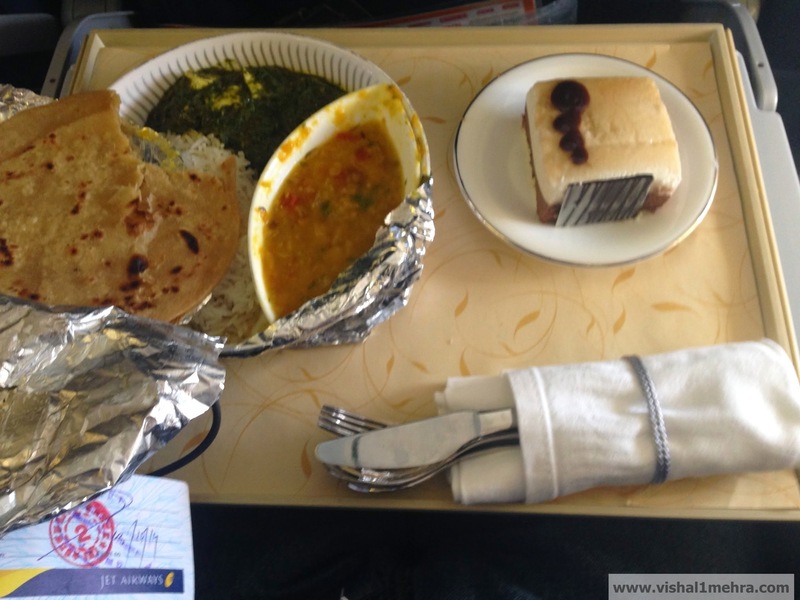 The Full Service Transformation of Jet Airways | Vishal Mehra and Co. The transformation of Jet Airways, from a (Premium) Full Service Airline to a confused brand, and back to a Full Service Airline happened recently. The public announcement of the last bit at least. Industry watchers expected the switch after Etihad & Jet made their partnership public last year. “I give you my commitment, that by the end of the year, Jet Airways will have the best domestic full service product in the country. We will always be competitive to ensure our customers get the best value for their money,” Chairman Goyal had thundered. He had even welcomed Vistara, saying it will make “us stronger”. It is a different matter that Vistara’s AOP certificate is still stuck at DGCA. For long time Indian air passengers (and the impassioned frequent flyers over at FlyerTalk), Jet Airways was like one of their own gone astray. The Airline which had strong credentials to be among the very best in the world for service, had switched to the cut-throat game of lower cost (not low cost) operations. Multiple brands made things even messier which confused consumers to no end. A return to the full service product roots was welcomed with a prayer, and a quiet approval. Thus, I was excited to sample Jet’s hospitality before the official FSC switchover date of 1st December 2014 and check out if the transformation was already under way. I chose to fly Jet’s low-cost-confused-service-brand, Konnect last month, for my trip to Vaishno Devi, Jammu. I was running late for my flight but the ICICI Jet Airways card came handy and I was able to check-in quickly at the airport through the Premiere lane. The security check took few minutes and I made my way to Gate 39 for boarding. 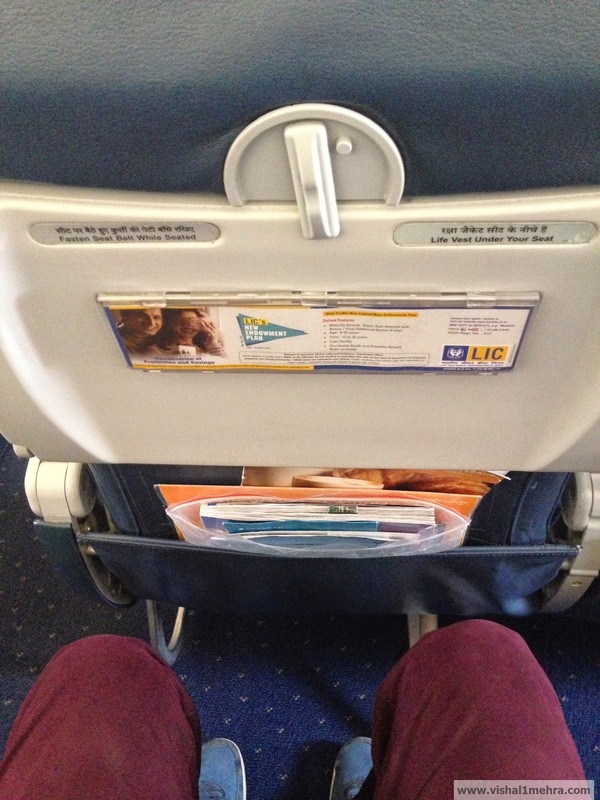 The occupancy was quiet light for the flight, with a guesstimate of 55%. You know that moment when you step into your flight and the “Hello” from cabin crew tells you this is going to be a great, friendly crew. That happened. I soon settled into my seat and the pushback started around 1309 hours, with an almost on-time departure. 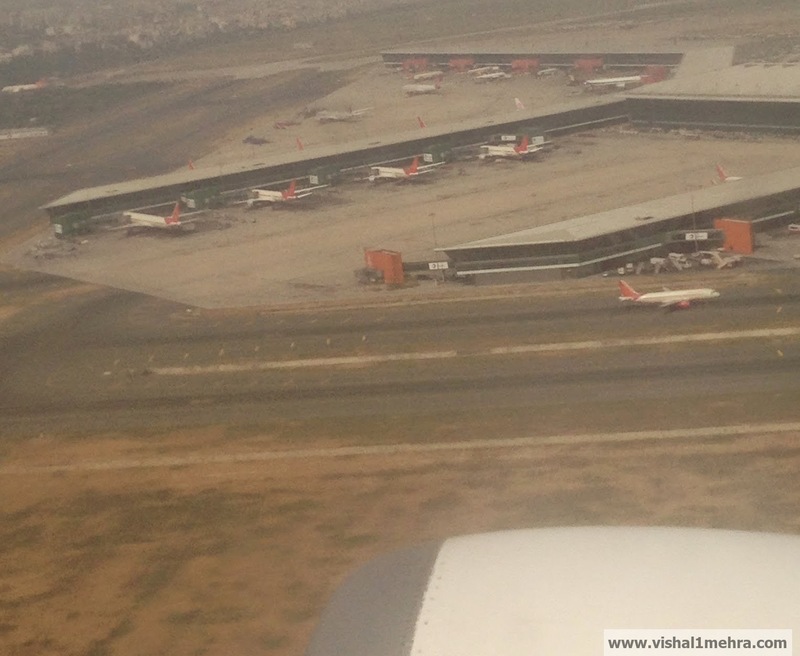 It is always fun to check out airports from the sky and Delhi’s Terminal 3 provided interesting scenery. Soon the curtains were drawn and service started exactly 13 minutes after the takeoff. 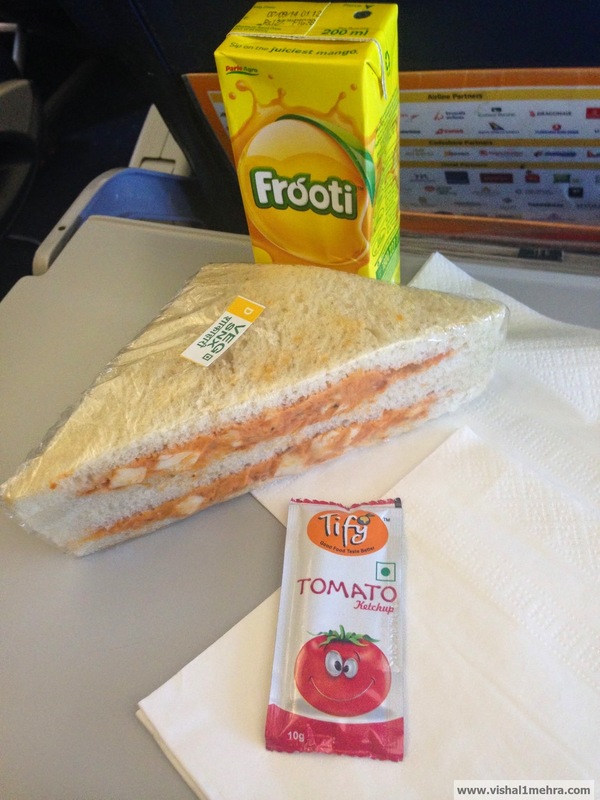 As this was a Jet Konnect flight, meals were charged. I ordered a Malai Paneer Tikka Sandwich, which I thought was poorly presented and came with an iffy quality ketchup from an unknown brand. The sandwich tasted better than it looked. Gaurav on the flight was especially helpful, along with the other crew members. 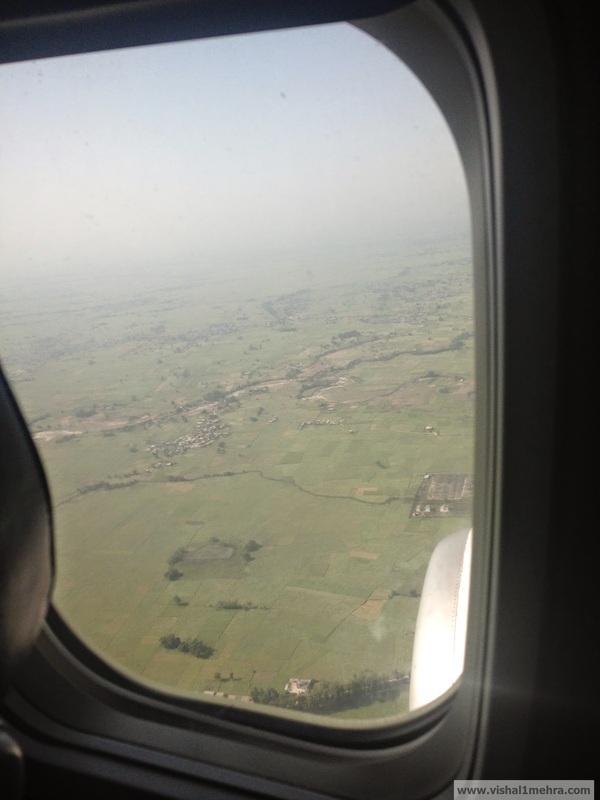 Our descent into Jammu started around 1357 hours, a mere 40 minutes into the flight. The Captain came on the PA to announce that we were 3rd in sequence to land, with expected ETA of 1425 hrs. We landed at exactly 1423 hours with quite a big thud and more-than-usual speed. The disembarkation was quick due to a low flight load. Besides the pleasant Jammu weather, another sight to behold at the Jammu Airport was Air India’s special A320 aircraft with Star Alliance livery. My return flight couple of days later was slightly more eventful. I reached the airport almost 90 minutes before my scheduled departure of 1510 hours as there are multiple, extensive checks at the Jammu Airport. The Airport/terminal itself is pretty barebones but I was able to snag a quick check-in. When I asked the agent at the counter about the flight, I was told it is on-time. As it turned out the flight arrived late from Delhi, and boarding (done on a remote stand) started only at 1520 hours, though it was fairly quick. 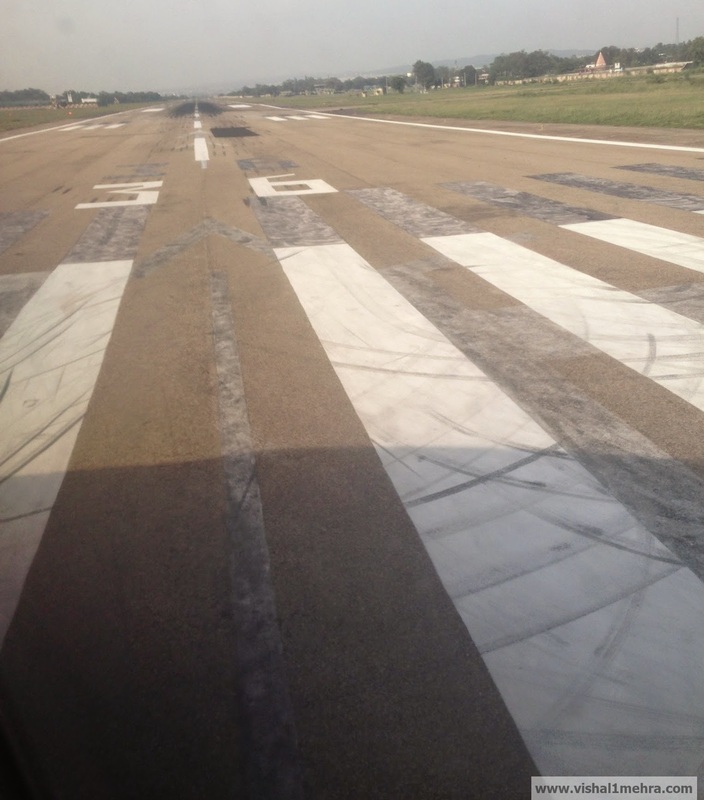 Pushback started at 1539 hours and we were airborne by 1543 hours from Jammu’s single runway number 36. The first officer apologised for the delay as we reached 10000 feet. 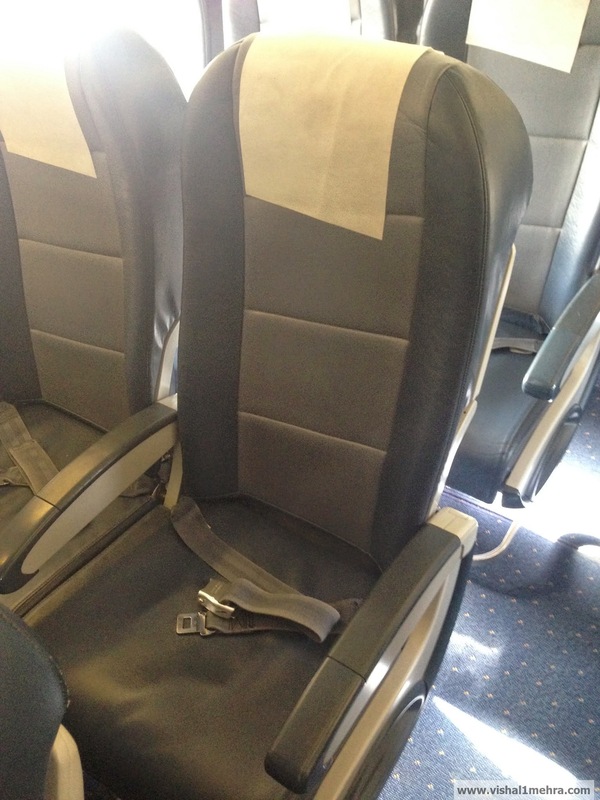 The all male cabin crew on this flight was friendly & attentive. As I saw on my earlier flight couple of days back, the aircraft seemed to have many empty seats, with a similar guesstimate of 55% occupancy. As this was a late afternoon flight, I wanted to grab a quick bite. By the time, the service cart reached me, they were only left with vegetarian sandwiches. Knowing fully well how good their vegetarian sandwiches are, I chose to go for a mango drink and eat something after landing in Delhi. I’m guessing the attendant gauged my disappointment and came back later to ask me if I wanted to buy a vegetarian Indian meal for 300 bucks. I readily agreed and it was brought over in couple of minutes. It had Rice, Chapati, Spinach Curry and Lentil as Main, along with a Cake. Although the mains were packed in recyclable tray and tin foil, the cake was served on Bone china, along with proper steel cutlery and a hand towel. I would hazard a guess that it was a spare business class meal. As I was about to finish the meal, the FA came by again to thank me for my patronage to Jet Airways and offered to give the meal charges back to me. I politely declined but thanked him for the gesture. Few minutes later he appeared again and insisted on me taking it back saying the cabin manager wasn’t happy with him for taking money. Ultimately I had to relent. 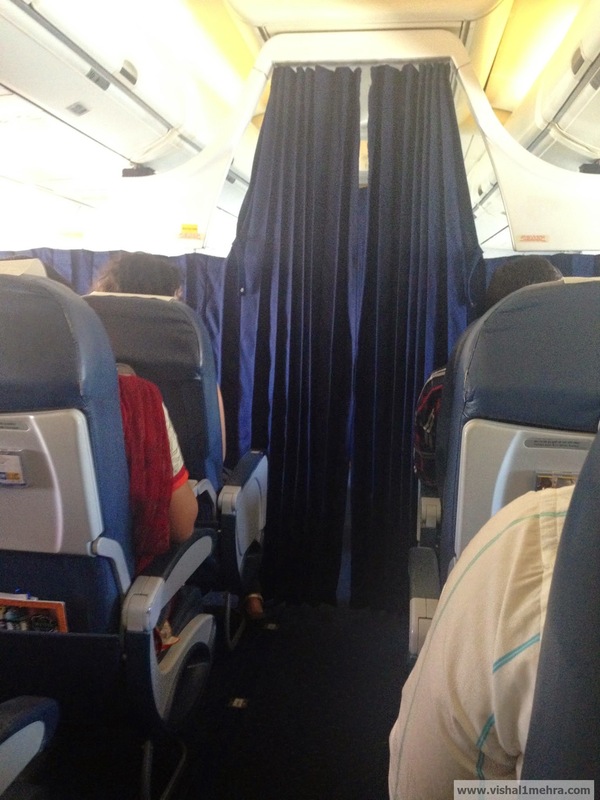 The descent into Delhi started around 1620 hours, with the cabin manager appearing on my seat and thanking me. I told him I appreciated his kind gesture and the attentive service done by his team for the flight. 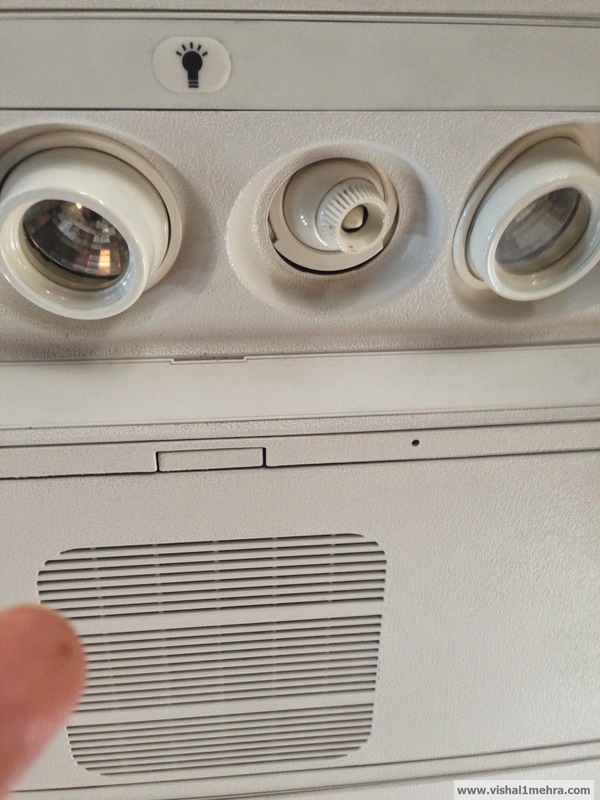 He asked me if he could do anything else to make my flight better, and I requested for a little peek into the cockpit once we land. We touched down at 1644 hours and were at our gate by 1654 hours. DGCA inspectors were in the cockpit for a while and once they got out, I got a good look into the Boeing 737-700 cockpit. Overall pleasant, if not a perfect flight experience. There needs to be a tangible service differentiation to be a full service carrier and not just an extra free meal-on-board. Jet Airways definitely has the pedigree and the legacy to offer fantastic service, but the hard product to go with it also needs improvement. Needless to say, it will be tough for Jet to compete with the likes of Vistara in terms of aircraft equipment. but at the same time, Vistara will take time to become a national player and Jet can take that time to get more competitive. Another emerging school of thought on the other hand stresses on Jet’s increased and obvious focus on international operations, rather than lower margin domestic ops. The Indian consumer has evolved a lot since the last time Jet Airways operated as a single brand. VFM remains the key but the definition varies from consumer to consumer. Some may want the cheapest possible transportation, while some may want extras like lounge access, frequent flyer benefits, better meals, Enhanced seating and IFE etc. If Jet Airways is able to solve that equation, with the appropriate cost structure to go with it, this transformation to “Full service operations” may very well work wonders. And yes, don’t forget to change that lousy ketchup brand 9W. May be some inspiration to package the offering can even come from the lower cost stables of 6E. Hope they are steady on their path to turnaround! 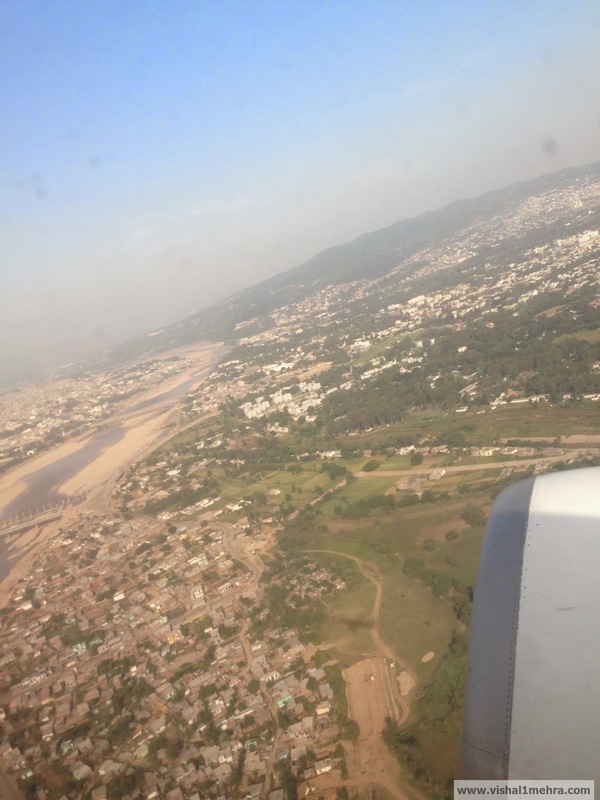 January 11, 2015 - 20:05 Pingback: Review: Vistara A320 New Delhi to Mumbai (Economy) | Vishal Mehra and Co.
Is Taco Bell the Savviest Social Media Brand? Review: Is Vistara’s Premium Economy worth it? Digital Marketer: in love with aviation, travel, cricket, EDM, technology, podcasts, beer and other frothiness.